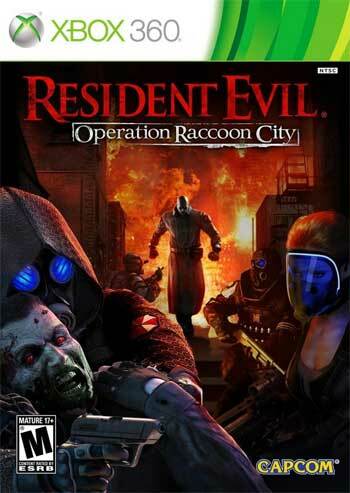 Resident Evil: Operation Raccoon City (RE:ORC for short) is a non-cannon game set in the same time period as Resident Evil 2. You play through this game as the “Wolfpack”, a group of trained special forces that work for Umbrella Corporation – the villain company throughout the Resident Evil games. These characters all appear to be psychotic in one way, shape, or form according to their biographies. The medic, Bertha, said she only joined the Wolfpack when “she was assured anesthetic would be considered a luxury and not a priority” for example. Throughout the campaign you will be able to play as one character of your choice and pick three others to be in your squad (there are six in total to choose from). The campaign can be played solo with AI teammates, or co-op multiplayer style with a group of people. As you play through the game, a small story line is uncovered, but for the most part there isn’t much to the campaign other than good ol’ zombie killing. Basically you work as Umbrella Special Forces and are given the task of destroying all evidence of Umbrella’s involvement in the zombie outbreak in Raccoon City. This means killing anyone who knows anything and blowing everything else up, including the spec ops soldiers that are trying to stop you. As I said above, this game takes place around the same time that Claire Redfield and Leon S. Kennedy get to Raccoon City in Resident Evil 2, and they do play a part in the campaign towards the end. The gameplay in RE:ORC is decent, it’s third person shooter style like the other Resident Evil games. You can find different guns while playing as enemies drop them or you can purchase them with XP that you earn through playing and start with them. The gun selection pretty vast and varied. One major problem most people, including myself, seemed to have was the incompetence of the AI in your party if you are playing alone. They tend to make stupid decisions such as running straight up to a Tyrant and trying to knife it to death, or just standing around doing nothing while you get swarmed with zombies. This can be remedied by playing with human teammates, though. Each member of the Wolfpack has special abilities. Some are passive such as spawning with more first aid sprays than everyone else, and some are active like being able to control the infected with a special dart, all of which are purchased with XP. When you are playing alone it is good to choose your team based on their abilities since they can help you out if they want, which it seems like they hardly ever do. There are other noticeable bugs, like the railing on stairs having an invisible wall in it so that you can’t shoot between bars. Taking cover and not really being in cover and holding your gun sideways after being in cover but still shooting forward are other abundant bugs. You can sprint and roll, but the game will not tell you how to do those things, so you will need to look it up in the manual or in game via the pause menu. The cover system is atrocious compared to other games in this style or genre. You must get into cover by walking up to the object you wish to take cover behind, which is delayed at times causing you to stand there and loose health while trying to get down. Enemies can often shoot through cover like it’s not there and not being able to roll from cover to cover makes staying alive tough during big fights. The enemies you face in this game are usually basic zombies or spec ops humans, sometime you will get rooms full of lickers though, and the occasional boss fight. Nemesis is one of those boss fights for instance, which brings me to my next point: the nostalgia factor. This game is chuck full of nostalgia moments if you played the first two or three Resident Evil games. That in itself made this game rather enjoyable despite the flaws and bugs, as well as the completely non-cannon involvement of characters and story. 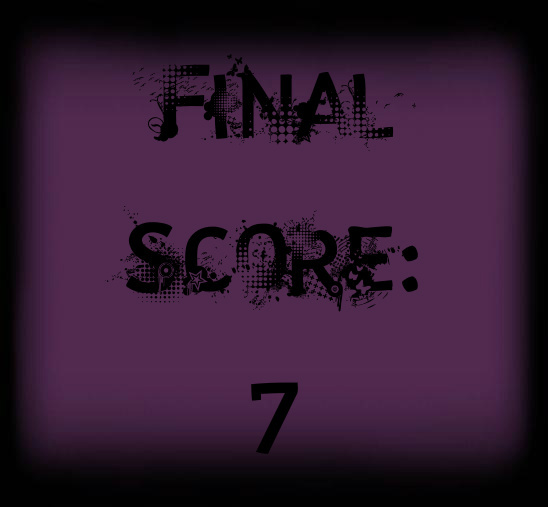 This game also includes versus multiplayer modes. These are fun and make owning the game more worthwhile since the campaign is only about 8 hours long. There are four modes in which you can play online: Team Attack, Biohazard, Heroes, and Survivor. In Team Attack, you play team deathmatch style. Two teams of four players face off against each other while the goal is to kill as many members of the opposing team as you can, as often as you can. One team is Wolfpack while the other team is spec ops, which includes some new characters only available in certain multiplayer modes. The goal is to reach a certain number of points, earned by killing members of the other team, before the other team does. Biohazard is a “capture the flag” type of mode, two teams of four have to work together to collect G Virus samples and bring them back to home base. Every G Virus sample you bring back gains your team a point, but you can be killed along the way and have the virus stolen by the other team. The first team to collect five G Virus samples and bring them to your team’s base wins. Heroes is a somewhat unique game mode similar to a capture the leader type of mode. Again, two teams of four are pitted against each other, but this time all eight of you start out as special leader characters such as Jill Valentine and Leon S. Kennedy for the spec ops side or Hunk and Ada Wong for the USS (Umbrella Security Service) side. The goal is to not die while simultaneously trying to kill the other team, and if you do die you will spawn back as a non-leader character and your goal then is to protect the leaders that are left. The first team to kill the other team’s four leaders wins. Survivor is just what is sounds like, a survival game mode. You will again be on a team of four going up against another team of four, but your goal is to be around when the “last helicopter out of Raccoon city” arrives, and you want your other teammates there with you. Only four players can make it out, but these four can be from either team, the team with the most to escape wins. All of the multiplayer modes are fun and feel somewhat unique, probably due to the setting. I give this game 7. If it weren’t for the multiplayer, it would be getting a 6 or a 6.5 for the flaws and of course the length without multiplayer is too short. The campaign is short and buggy, but it does have that nostalgia factor and is fun to play regardless. If you can look past the lack of story and admission of characters that shouldn’t be around at this time, then you will enjoy it. The multiplayer can add hours of gameplay to this game, especially if you have a group of people to play with. I would recommend this game to Resident Evil fans as well as regular shooter junkies. Previous Previous post: Resident Evil series does away with survival horror genre. Next Next post: In-game relationships: Are they necessary?